Under T-TRAXX Brand we produce range of Pouches, Pencil Pouch, School bags, College Bags, Backpacks , Laptop Backpacks Bags, Lunch Bags etc. Ttraxx brand is good service full cooperative of any type of services such as images of college bags and colors and print WhatsApp anytime. Fast delivery by transport as well as hand delivery. There item is very running for school bags and college bags. Quality of Product is Excellent. Salesman / Service is Good. After Sales Service is also good. The Product of T-Traxx are very unique. After your product my sales have increased. T-Traxx has good quality product. School Bags customer use products for 1-2 years. I am happy with your product sales. Very Competitive Prices given by you. Anupam Stationery Superstore Pvt. Ltd.
Beautiful Designs & Varieties in Pencil Pouches. Designs & Patterns change as per trend & time. Shaving Kits are of very good quality. Quality Product & Design is always new. Customer response is very good. Designs are beautiful & of new Trends. Very Good Variety, Very Good Quality. Colours, Pattern, Is Novelty. Finishing Is Good. All Bags Are in Very Light Weight. Qaulity Of Product Is Good. Product Quality Assumed, Till Now I Like The Products. Thank You. I have been using t traxx foldable bag (back pack) from last 4 years and the quality of material is amazing. Thank you. T-TRAXX is a brand of Indian company SILVERTOUCH. 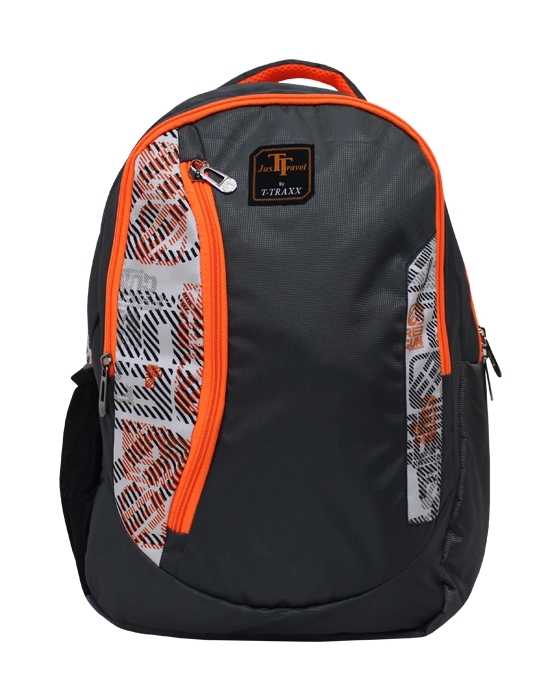 In the business since 1998, T-TRAXX has become a premium brand of backpack under student portfolio. As our tagline - “This is a Trend&rd . . .
Mumbai- 400 011, Maharashtra, India.